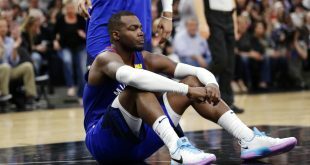 With the NBA just finishing up its season with the Golden State Warriors winning another championship, many teams are trying to build and trade around to make their team a superior team. In the latest update, center Dwight Howard was traded this morning to the Brooklyn Nets for two picks and Timofey Mozgov. 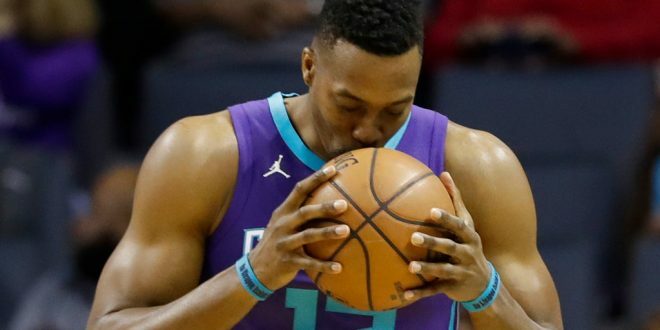 Dwight Howard, who was once a shining star in the NBA, just can’t quite find his fit for NBA teams. Howard has been on five different NBA teams since being drafted in 2004. 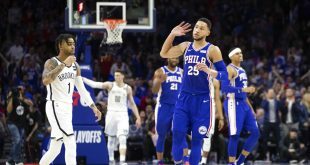 He started his NBA carrer in 2004 with the Orlando Magic, playing for them for eight years where he was loved by the city and the team, which is where he started his superman platform. The majority of his games played for the Magic, he averaged double figures in scoring and rebounds, but he and the franchise eventually decided it was time to part ways. He then got traded to LA with the great Kobe Bryant. Although playing with Kobe sounds great, he and Bryant’s relationship was not the best. They did not get along well with each other on and off the court. From there on Howard has found himself having to adjust to various trades. The Hornets recently traded their star center that had a major impact on the team. He averaged 16.6 points and 12.5 rebounds last season. Many thought this would be Dwight Howard’s last team being traded to, being that he played a big role on the team. The Hornets have agreed to trade him for center Timofey Mozgov and two second round draft picks. That is really a bad exchange for the Hornets, considering that Mozgov only averaged 4.2 points last season. Although this trade seems a bit absurd, it helps out the Hornets with more cap space being that Timofey Mozgov costs $8 million cheaper to have than Howard.